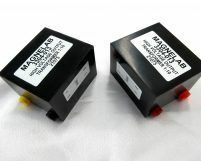 At Magnelab, you will find a huge selection of voltage transformer, split core current transformers, Rogowski flexible core coils, current transformers, current sensors and more. We want to make sure that you are able to complete your job the right way. We have made it easy for you to filter our catalog of products, but if there is something you need we don’t have, please do contact us to see if we can find it. We also offer a range of customization options to suit your needs. Voltage transformers are electrical components that are able to step down, step up the input voltage. They may also be used to isolate certain electrical circuits. They have been designed so that they are able to adjust the voltage to a suitable level. For instance, in making voltage measurements, a voltage transformer is used to lower the voltage of the system to the range that is suitable for the voltmeter that is used. These may also be used in conjuction with a current transformer for measuring power. No matter what the size, the properties of mutual induction are relied upon by the voltage transformer. The input voltage causes a current to flow through the primary coils. This current has a certain motion, which goes past the core of a transformer. In so doing, it creates an electromotive force, which goes into a second set of transformer coils. Depending on the ratio of the number of coils of the primary and the secondary coils, the input voltage is transformed. The expected result is that the output voltage is within the range that is needed for a particular application. 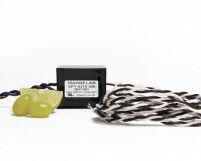 Voltage transformers are different from the DCT-0024 current sensor, which has been designed to detect current. This particular sensor takes AC current as input and converts it to DC voltage. Voltage transformers are usually found in a large electrical grid. This is because a grid requires varying voltage levels, which means that the voltage itself may need to be increased or decreased at different points in order for equipment linked to it properly. Power plants and substations use many voltage transformers, and they are most suitable for large scale, civic applications. In such a large scale grid, metering and maintenance will often be needed. This is why a high voltage transformer will generally be utilized in order to bring the power of a grid down so that metering equipment can read it. The load on this type of equipment is then reduced in such a way that the overall capacity of the grid is not affected. While this is best explained with high voltage equipment, it can also be used in low voltage scenarios. For instance, most households will have transformers to make sure that the different devices are able to run properly. These can be external devices, like the popular AC adapter, but they can also be internal. For instance, computer power supplies tend to have various components that achieve this as well. 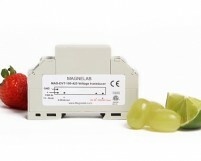 For instance, you can use a low voltage transformer if you travel to a different country where the voltage is different. As such, there are both commercial and domestic voltage transformers available that are designed to make sure equipment can run properly.